Meinhard (Meinhard Neumann) is part of a group of German construction workers who come to Bulgaria to work on a project. They soon get in touch with the local population, but language barriers make communication difficult. But Meinhard is intrigued and finds ways to get closer to the locals. While I liked the general idea of Western that transplants the usual settler storyline into a very modern setting, the resulting film is unfortunately exhaustingly long and not much else. 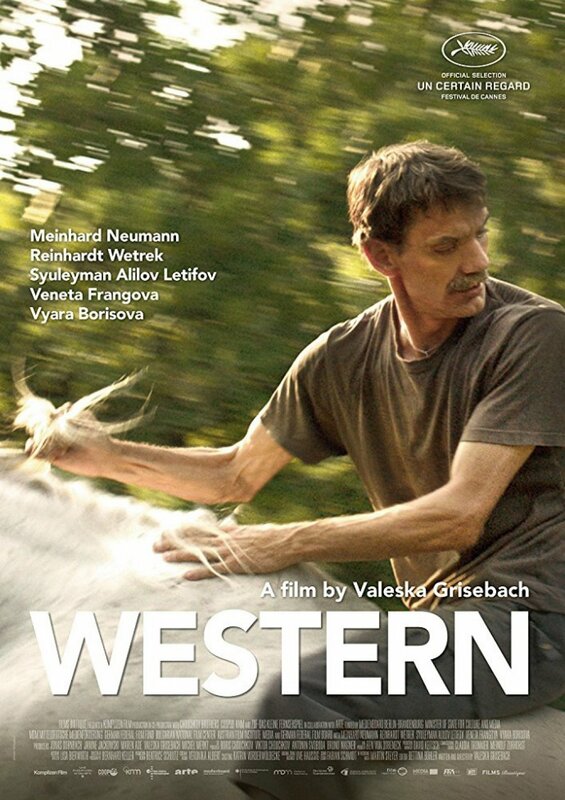 Western starts basically as Dances With Wolves: Meinhard comes as the modern version of a settler: a German involved in the appropriation and explotiation of cheap Eastern Europe land. He finds a connection with the locals, in particular a woman (who speaks the settler’s language, German). He strikes up a special relationship with an animal, in this case a horse. Transplanting this dynamic from a historical setting to today shows that this dynamic is alive and well today, even if in another context. But Western doesn’t stop there – it doesn’t stop before it starts questioning Meinhard and the White Savior complex he embodies, thus dismantling that particular trope as well while its at it. So I appreciated the thought processes and theories behind the film a lot, and Meinhard Neumann was perfectly cast in the role – he simply has the perfect face for it and a kind of melancholic aura that fits amazingly. But in practice, the film is exhausting, it feels so incredibly long. It actually got so bad that I was worried that they had misprinted the program and the film was 220 minutes instead of 120 minutes. I am pretty sure that they could have made their points more succinctly. Then the film may have actually worked for me instead of just feeling frustrating. Summarizing: Good in theory, not so good in practice. 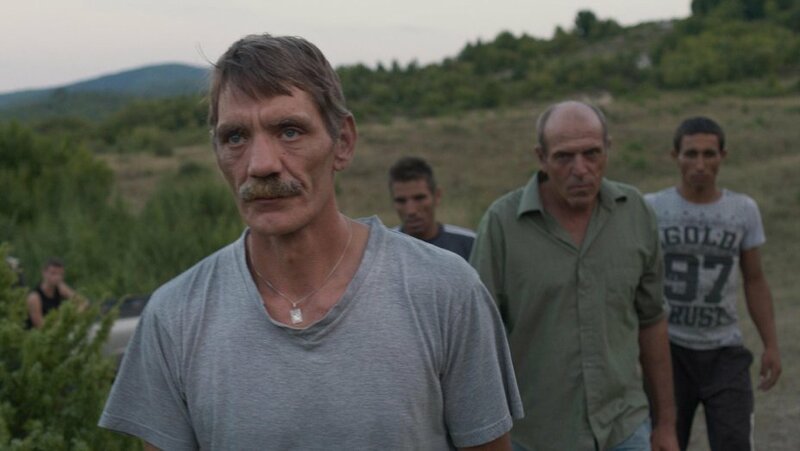 This entry was posted in female director, female writer, movies and tagged 2017, Meinhard Neumann, Reinhardt Wetrek, Syuleyman Alilov Letifov, Valeska Grisebach, Veneta Fragnova, Viara Borisova, Viennale, Western by kalafudra. Bookmark the permalink.